Nautilus Productions LLC is the exclusive owner and licensor of footage from Blackbeard the Pirate's flagship – the Queen Anne's Revenge Shipwreck Project. The Nautilus Productions staff has been the official video crew for the study, documentation and recovery of the infamous pirate Blackbeard's shipwreck since the project’s inception in 1998. Through a historic Gulf of Mexico archaeological expedition and recovery operation involving dozens of scientists, and the latest in deep-sea recovery technology the clues to the Mystery Mardi Gras Shipwreck and her 200 year old treasure are finally being revealed. Cindy Burnham's 30+ years of photojournalism experience reflects the extremes of humanity and nature. 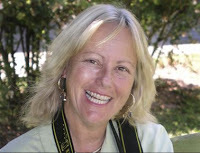 Her work has appeared in Newsweek, the New York Times, Sports Illustrated, Washington Post, NY Daily News, Historia Magazine, Business North Carolina, Hearth & Home, Dein Speigel, the Time Life book - Sky Soldiers and many more publications.